Welcome to the 4th virtual meeting for the Garden Bloggers’ Book Club. 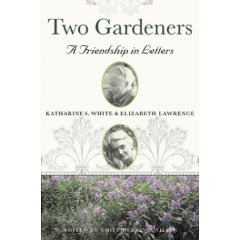 This month, we read Two Gardeners: Katharine S. White & Elizabeth Lawrence--A Friendship in Letters, edited by Emily Herring Wilson. We’ll start out with some links to background information on the two letter writers. I found a biography of Elizabeth Lawrence which is on a website dedicated to her. I also found biographical information on Katharine S. White, but it is on Wikipedia, so consider the source if there are any inaccuracies. North Caroline Historic Landmarks Commission website on Elizabeth Lawrence and her Charlotte garden. 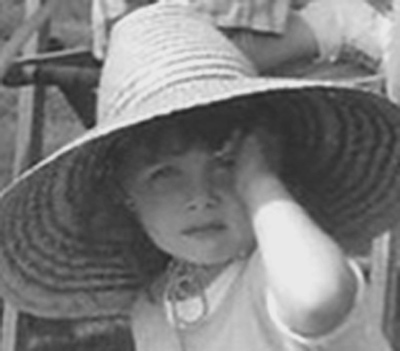 A reminisce by Katharine S. White’s son, mostly about E.B. White but with some insights on Katherine. Excerpts from “A Garden of One’s Own” by Elizabeth Lawrence. And now, on to our reviews and posts about the book. We have some faithful club members posting along with some newcomers! Click on the link to get to each one. Old Roses from “A Gardening Year” in New Jersey. New member post from Vonlafin at Gardening with God in Indiana! Her blog is brand new and this is her second post. Entangled at Tangled Branches in Virginia also posted a reivew of The Little Bulbs by Elizabeth Lawrence. Thank you all for participating, and especially to those of you who have faithfully participated since the beginning of the book club back in November. I need to go back through the 4 posts and make a list of who you are to give you special thanks. If you posted your review after I published this post, no problem. This is all virtual, so just let me know and I’ll add you to the post. If I missed your post, please accept my apologies! As soon as you let me know, I’ll update with your link. “I have learned more about horticulture, plants, and garden history and literature from Elizabeth Lawrence than from any other one person”. Carol, thanks for the terrific round-up, as always. I'm really enjoying this book club and looking forward to going around and reading others' posts! Carol, you have exceeded your already high standards -the links are wonderful! The Historic Landmarks Commission had so much detailed information that it needs a second, slower reading. And I sure want to read A Garden of One's Own in the near future. Carol, thanks for the roundup and for turning me on to this book. I have read it and enjoyed it thoroughly... I just seem to be incompetent at writing book reviews, so I didn't create a post about it. Carol, I can't get Barbee's link to work - it just says blogger page not found. Is it just me or is this happening to everyone? Annie...oops, it was everyone, I missed the last character on the url. It is fixed now! Carol,post about the 'Two Gardeners' is now up on my blog.